THE CASCADE SISKIYOU SCENIC BIKEWAY is our consistent Up & Down route of 49 miles and 4900 feet of climbing. 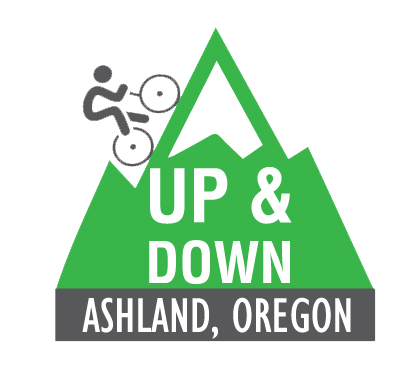 Designated in 2015 by the State of Oregon, it is the first Scenic Bikeway in Southern Oregon and is one of the “the best of the best” in the state. From Emigrant Lake, cyclists have a leisurely 5 miles before the road starts climbing in S-curves into the Cascades. Riders will enjoy a break and water stop a few miles up the strenuous 7-mile Greensprings climb. At mile 14, the rest stop at The Green Springs Inn will offer weary riders a grassy picnic area and extensive breakfast foods. Riders will enjoy spending a few minutes reliving their recent exertions. Another rest stop at Howard Prairie Resort (mile 25) will be well-stocked with offerings to replenish the efforts of the morning so far. Finally the climbing is over at the Dead Indian Memorial Road summit (mile 33), where we will offer a water break and encouragement before the final steep, winding, exhilarating descent. The Up & Down is not a ride for the faint-hearted. Although only 7 miles, the Greensprings climb averages 7% grade and totals 2270’. The road is narrow with steep drop-offs and camera-worthy views. Having conquered the biggest climb, you still have 2800’ more of less strenuous climbing until the Dead Indian summit. Finally the glorious views on the 13-mile twisty, narrow Dead Indian descent will take your breath away. You will be supremely ready for delicious bar-b-q and craft beer at the finish. THE SPENCER CREEK, this year’s second option, is our answer to past riders requesting a century. It is 97 miles with 7800 feet of climbing. 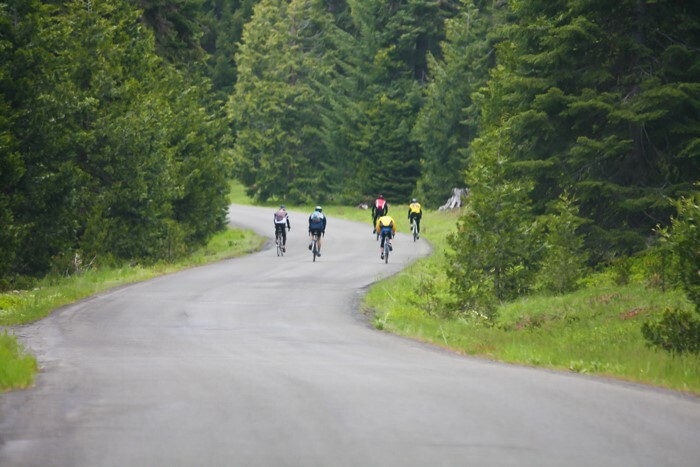 Riders will climb to the Greensprings Summit at mile 12 and turn onto Hyatt Lake Rd. after breakfast at the Green Springs Inn. At mile 27, Spencer Creek riders will diverge from the Scenic Bikeway route to make a loop to the east on Dead Indian Memorial Road (DIMR). The route features open roads through meadows and forests where riders can let their bikes run, especially the long 12-mile downhill on Clover Creek Rd. What goes down must come back up, with a climb back up to the lovely and lesser traveled Keno Access Road, and finally back onto DIMR for the last long pull to the summit at mile 79. After a stop for water and a breather, riders will still have the Dead Indian Memorial Road descent back into the Bear Creek Valley, as well as a hearty lunch and craft beer at Emigrant Lake. Full support includes four rest stops and two water stops as well as SAGs along the way.